Reluctant Or New Readers In Your Home? 74% of Canadians who graduate from high school have “strong literacy skills”, the remaining 26% of graduates can only “handle simple reading and writing tasks” (ABC Life Literacy Canada). It’s easy to say that reading is important but what about the kids who just refuse?! Here’s Doreen Dotto’s story: A mom of two boys, Doreen was faced with a reluctant reader who would find a hiding spot every time the books came out. She read to her son when he was an infant and used traditional teaching methods to get him interested in reading. She only proved that you can do what the experts tell you and still not get the results you want! In Doreen’s case, she sought her own solution. 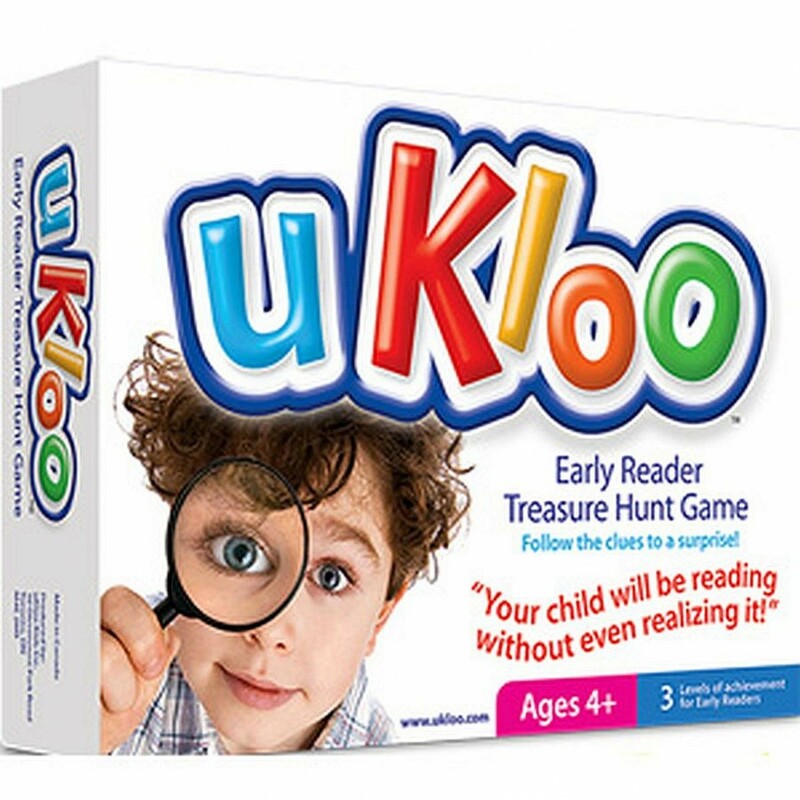 With creativity and problem-solving skills, Doreen turned her son’s hiding into a game and uKloo was born! This “Early Reader Treasure Hunt Game” uses colourful cards such as "Look in your shoe" and "Search behind the pillow on the couch” to get kids reading (whether reluctant or enthusiastic beginners). Any adult or older child can place the cards throughout the house creating a treasure hunt whose length and reading level is tailored to each child. Your child reads each clue to find the next clue until they reach their surprise at the end! During the hunt, they can refer to a Picture Helper that helps them learn to read. Dragon’s Den is one of my favourite shows - in fact I’m watching it right now! Last year, I watched Doreen face the intimidating Dragons in an episode. Doreen did not leave with a deal that day but she did impress Kevin and that says a lot! As for me, I knew right away that I had to have uKloo in my online store! I love finding award-winning products for kids whether it’s from TV, the internet, or recommendations from customers. But more than the products, I love the story behind the brand. Doreen and I communicated back and forth after the show and she truly is an inspiring woman with a shining personality. I am excited to see what she has planned next! If you are wondering what happened to her little reluctant readers, well they are all grown up now! Her older son is in University studying English Literature and her younger son is also a student and illustrated the uKloo picture Helper. So, yes it works! If uKloo gets you curious, I would be happy to answer any question you have. Or... Purchase your very own copy of uKloo at Story is Yours! Get an update when a new blog is posted!